Pizza League - martinhelmigs Webseite! Nettuno, the city of the sea and baseball, is on the coast just south of Rom and is ideal for European baseball teams to have spring training. This coming spring we want 10 teams to participate. As 5 teams have already committed, we have 5 spots open. We will play games every day (except Wednesday , travel to Rom if you want.) in the Nettuno and Anzio Stadiums and use 2 other fields for training and practice. 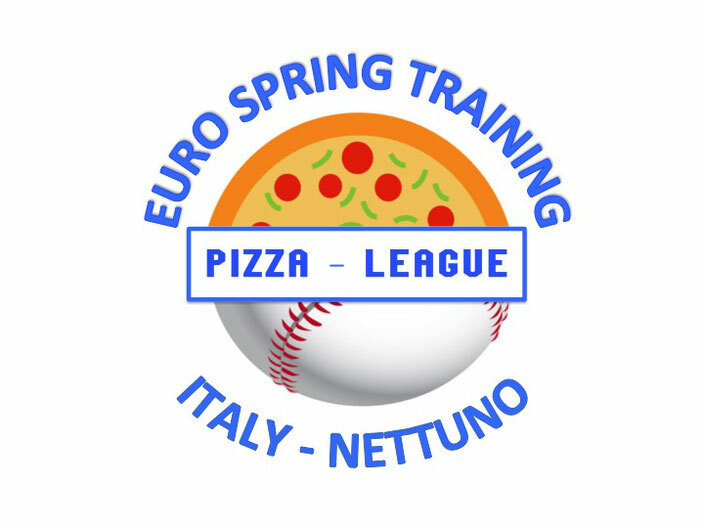 Each team must travel to Nettuno on their own. Reasonably priced airport shuttles and other field shuttles can be arranged . We have different hotels which are 22,00 € per night with breakfast . 154,00€ per person - 7 nights. From 10,00€ per person with water at different restaurants or hotel. Pizzaplaces on every corner. Saturday: Arrival and practice is possible. Wednesday: day of in Rom - if you want, easy with train. We want to make the best program - this is for you! Make sure to bring enough pitching. Innings can be rolled after 20 pitches. Maybe get position players to fill in pitching. We want to play at least 7 innings per day. Each team must bring 1 umpire and 6 DZ baseballs. We charge 1,00 € per day per player groundskeeper fee. 154,00 € for the hotel plus 7,00 € groundskeepers fee for the week à 161,00 € per player great price for a lot of baseball! Every extra day 22,00 €. Prices for bus shuttle on request. 500,00€ per team deposit by December 15, 2017 to save your spot. Rest must be paid in Nettuno on arrival.